Snapchat is adding 3D Bitmoji to its World Lenses feature, allowing you to introduce animated avatars to your locale as you see fit. The 3D Bitmoji animations are based directly on models you’ve already created using the Snapchat app. The new 3D Bitmoji option will appear in the rear camera Lens options within Snapchat on both iOS and Android after the app next updates. Interestingly, some of the animations can actually run for longer than the standard 10 second single Snap. However, iOS users can also utilize the new multi-Snap feature to capture multiple Snaps and link them together in a direct sequence. (Sorry Android users, you have to wait a little longer). The Bitmoji and World Lens feature work well together. The animated avatar can do some skateboarding tricks, or some yoga in a location of your choice, while you capture the action. I cannot lie. I hate Bitmojis, from their genesis across Facebook, to their current iteration on Snapchat. That said, I can see that Snapchat have taken the avatars further than their previous versions. The new 3D Bitmojis actually anchor directly in the world around you. For instance, the skateboarding clip will do a trick onto a kerb or similar feature, and so on. So, in that, they’re already streets ahead. 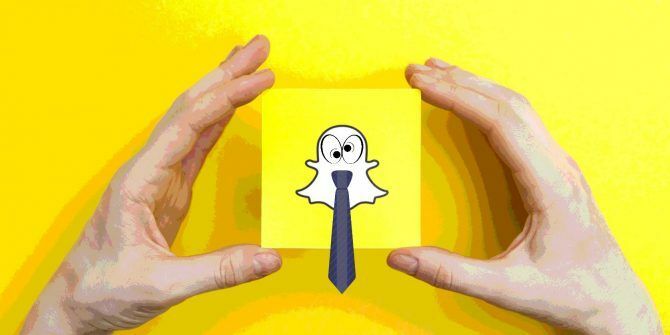 In addition, it shows more innovation from Snapchat. As other messaging and social services seriously encroach on their users, the introduction of services like World Lens, animated 3D Bitmojis, along with the Friendmoji and Bitmoji Geofilters is sure to help users keep their Snap-Stories alive and active for much longer. Are you a Bitmoji fan? Are you excited about the new Snapchat feature? Let us know your thoughts below! Explore more about: Instant Messaging, Snapchat.